From the end of the 1960’s to the start of the new millennium, there was one figure in the world of fashion that embodied its spirit and told its story as it was happening: the journalist Anna Piaggi, one of the most important voices of the international fashion system. 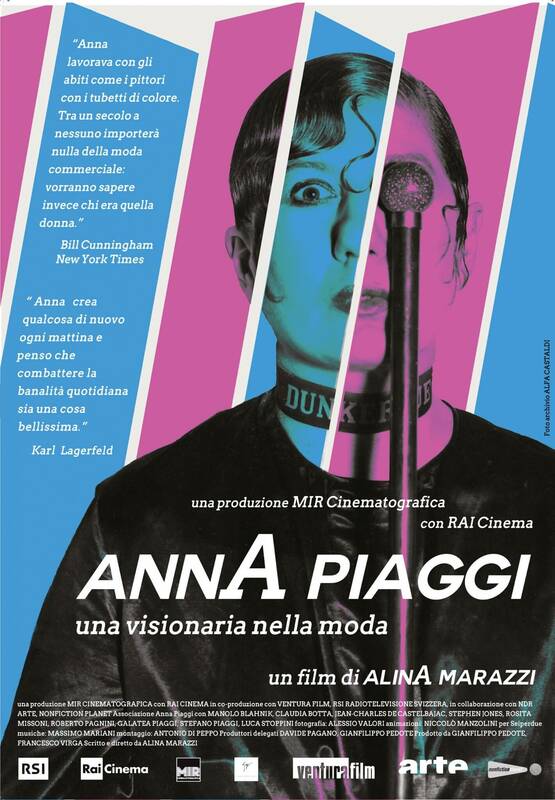 Celebrated for her eccentric outfits and as an intimate friend of designers such as Karl Lagerfeld, Gianni Versace, Castelbajac and Manolo Blahnik, Anna Piaggi recognised the conflation between art, society and culture that determined a new direction in fashion and defined its success on a global scale. The film, realised by the director Alina Marazzi, retraces the story of this amazing journalist via the capital cities of fashion – Paris, London, Milan – and makes use of precious archival footage, unpublished photos provided by the archives of Alfa Castaldi, her husband and noted fashion photographer, Ugo Mulas, Bardo Fabiani, and the testimonies of some of the most known designers in the world.